For the look of nature. This category includes fake lead and terracotta planters in traditional and more radical designs of resin planters. 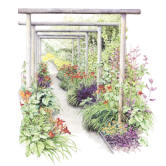 Plastic Planters are light in weight an inexpensive and normally come with drainage holes. 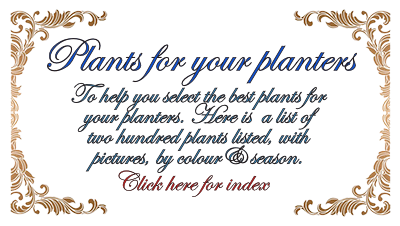 The lighter colours are very reflective and so present no danger of becoming ovens for your plants. It is also non-porous, which means you won't have to water the pots as frequently as you would pots of clay or untreated wood. 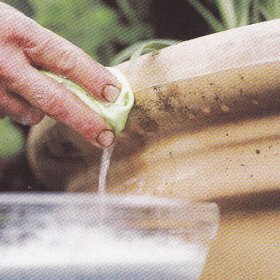 Potting compost stains and dirty hand prints can be easily removed from plastic planters with soapy water and soft clothes. More stubborn stains may require the use of a kitchen scouring pad but try it on a hidden area if you are concerned about it damaging the surface. Many plastic Planters are quite attractive creating the same visual effect as metal and some now do such a convincing imitation of terracotta that you would never know until you touch them. Others, I am afraid are rather ugly, but if you put them in something more handsome no one would ever know. So if you wish to move your plants in the winter they would be easier to move.